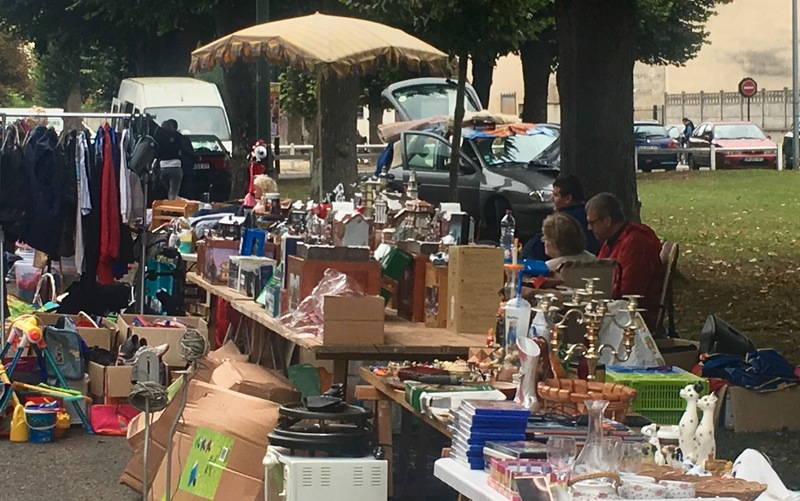 This morning, I engaged in one of my favorite activities in France…shopping at a village flea market dans la compagne. 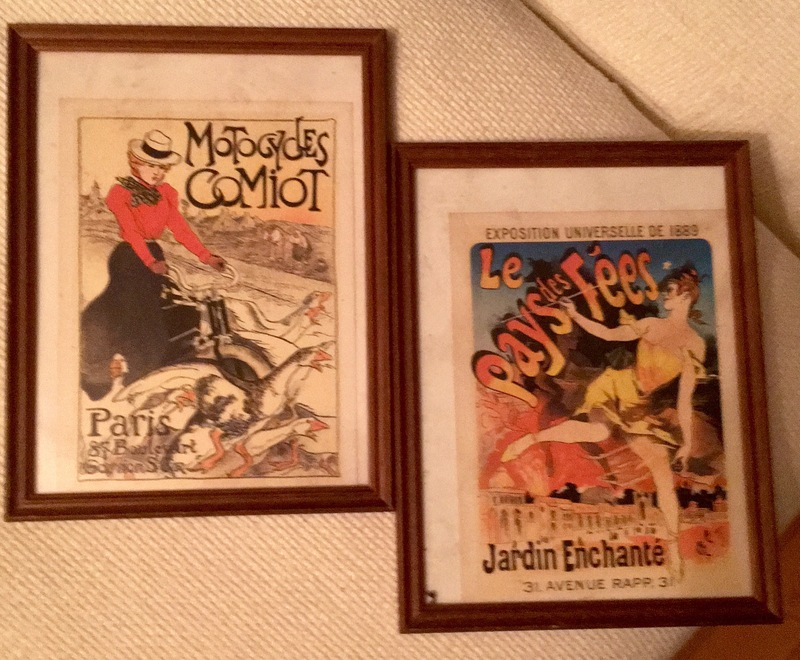 The French as a rule love flea markets and love a good find. 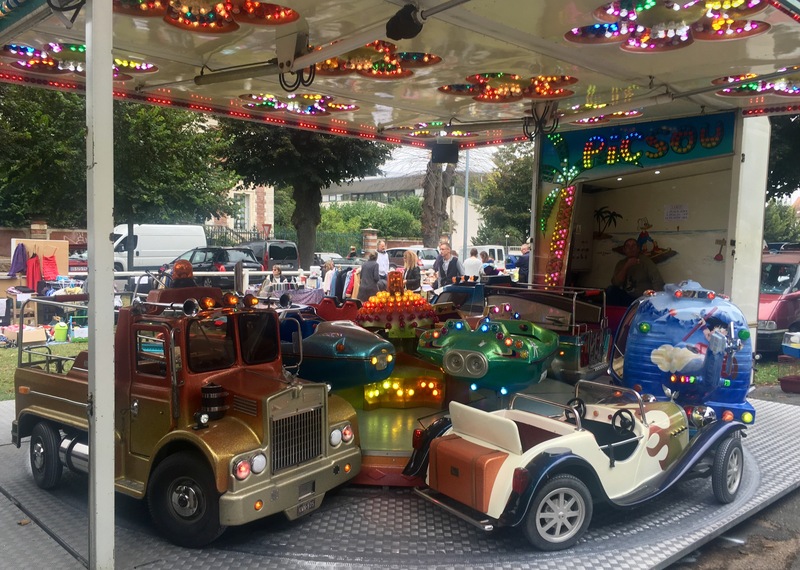 There are several different types of markets. 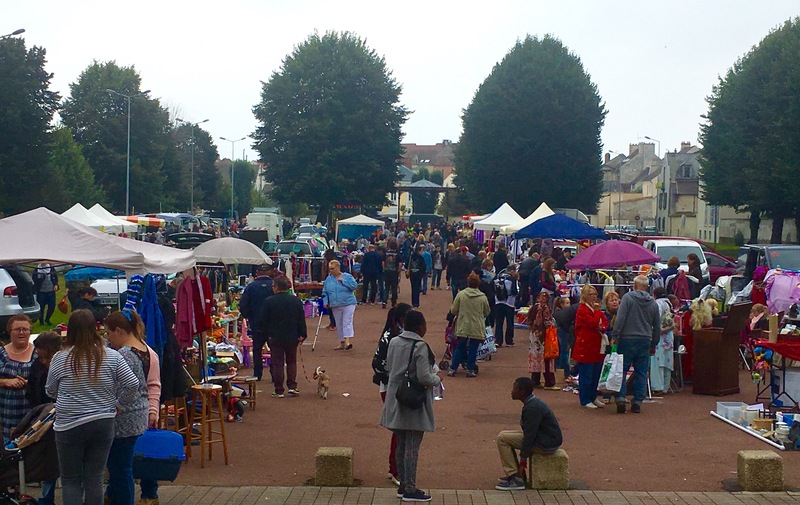 Yesterday, I visited Le-Ferté-sous-Jouarre and shopped Vide Greniér. The word Greniér means an attic or small storage space where one puts things they don’t use, etc. There’s a bit of everything for sale, but you can find treasures if you look. I noticed a few suspected pickers. 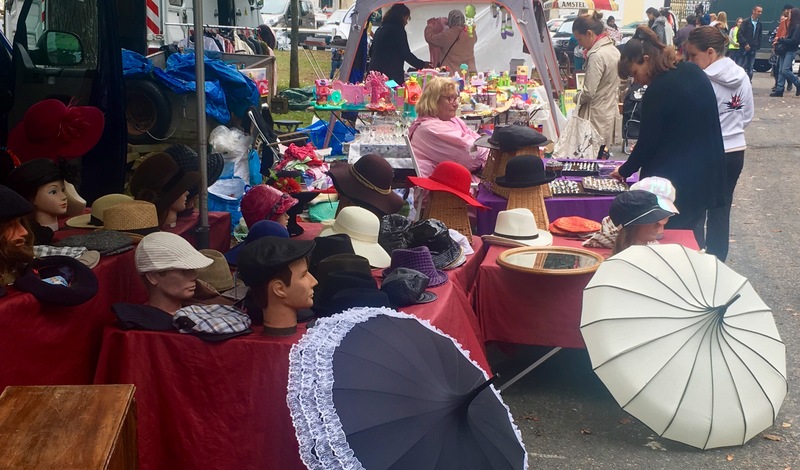 Buyers from the Paris flea markets often come to country markets looking for items to resell. To compete with them, you’ve got to get there when the market opens, usually 7-8 am. I was NOT competitive on this day! 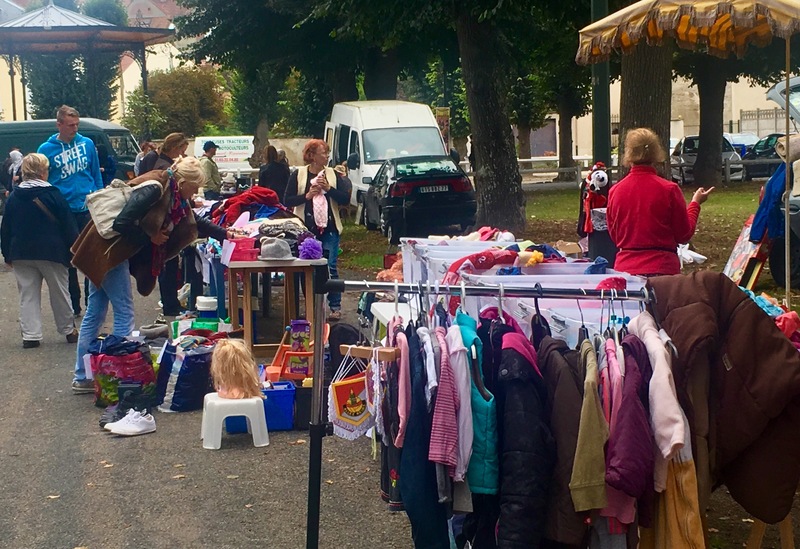 A Vide Grenier is often sponsored by a local organization as a fundraiser. Sometimes it’s sponsored by the village or town. There’s usually amusement for the children. 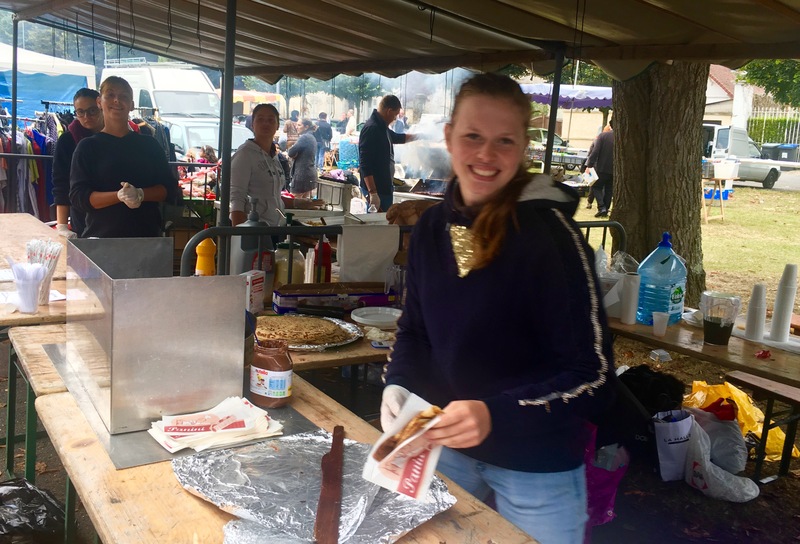 Of course, there’s food! 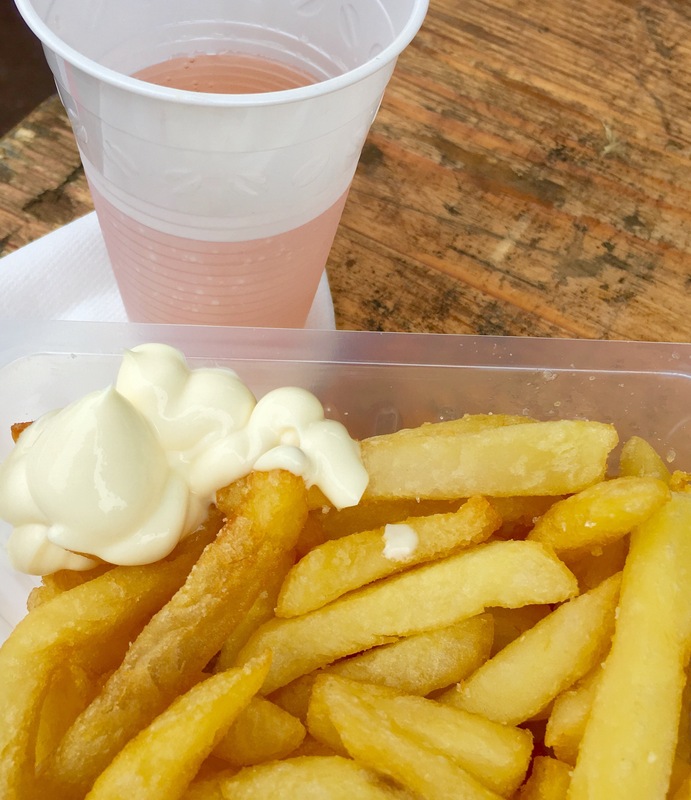 Rosé and frites with mayo works for me! Although this Vide Greniér was small, I still found a few treasures! 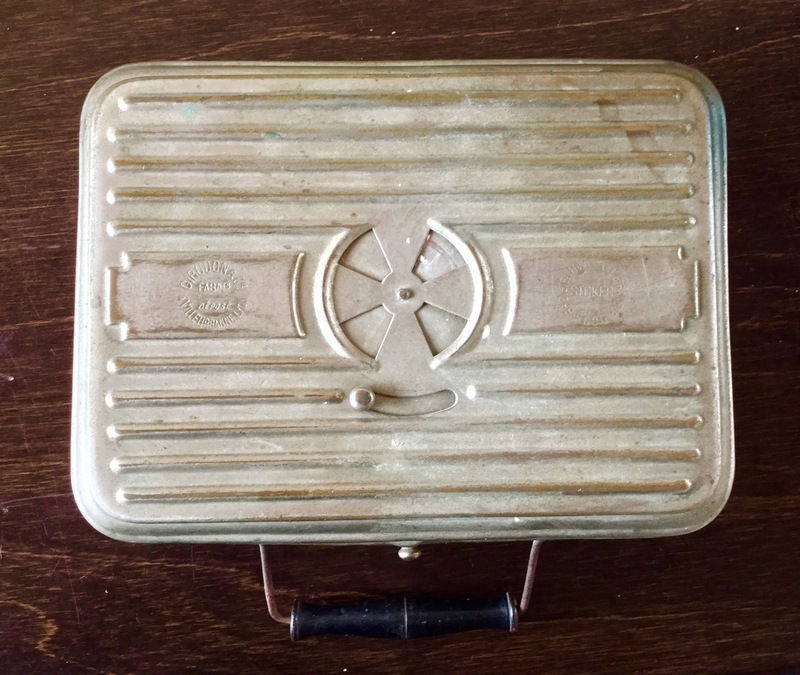 An early 20th century chauferette (portable bed warmer for travel). A fitted stone was heated in the fire and then placed in the mesh cylinder. 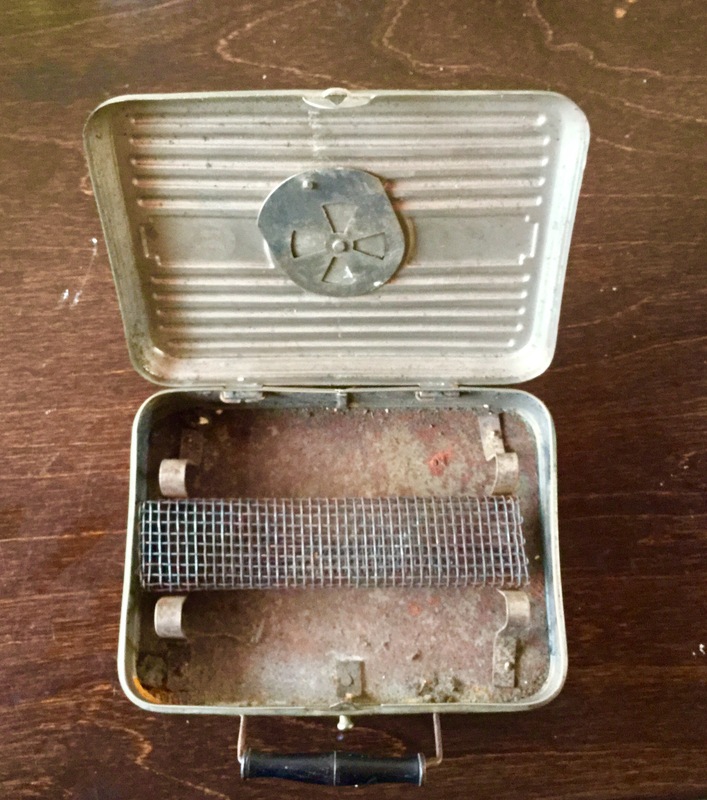 It’s about half the size of a lunch box. I have no idea what I’m going to do with it, but I love its Art Deco design. Very Metropolis. Prints by Steinlein and Cheret (not original more’s the pity!) which I will reframe. Both are prints one doesn’t see as often. I own a signed Cheret lithograph in a carnival theme. Come EatWith me and you can see it! 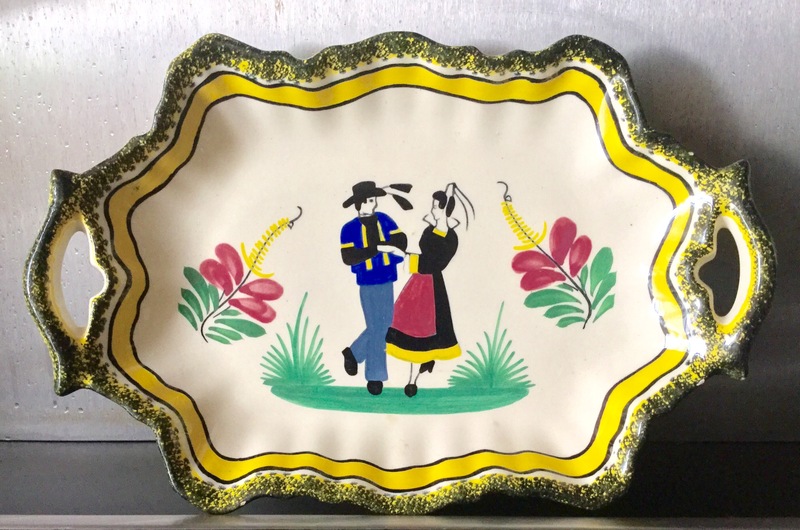 A Quimper 12×6″ platter in perfect condition. Beautiful colors and glaze. And my favorite find! A heavy brass plaque 14×3″ which I think must’ve been affixed to a large piece of machinery. I’m guessing it’s early 20th century. It will look great on a wall! I’m surprised a picker hadn’t already snatched it up. The grand total for all my purchases? $44! And you have to factor in the fun I had hunting. I could sell these items (especially the sign) for a nice profit back in the States, but I want them all for myself. The next time you are in France, visit brocabrac to see if there’s a sale near you. You can search by city/village or region. Then go!